Victor Williamson died at Welshwood Manor nursing home on 30 March 2015. Victor first came to the area in 1939 when he was evacuated from Bethnal Green to Fingringhoe, attending school in Wivenhoe on the site of the present library. 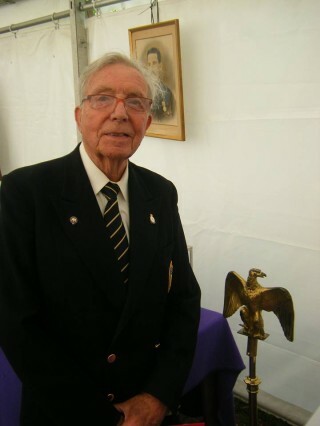 Victor was a proud member of the Essex Regiment serving in India and Burma in the Japanese campaign after the war in Europe had ended. Before his retirement Victor held a managerial position at the Guardian Royal Exchange insurance company in the City and latterly Ipswich. After moving here in 1964 he became well known in the Wivenhoe community as a member of the Arts Club and as chairman of Wivenhoe Town football club for 30 years. He took the club from its days playing on the King George V sloping pitch to their own floodlit ground at Broad Lane. See also the write up of the history of the Football Club in the Wivenhoe History archive – click here. Information supplied by Victor’s son Daryl Williamson who has kindly given permission for it to be published here. This page was added on 04/04/2015.